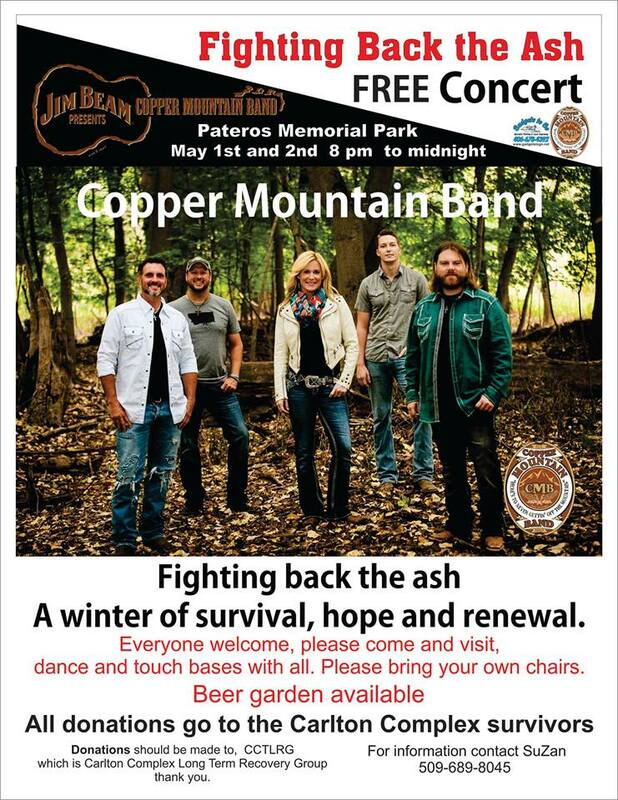 The Copper Mountain Band will perform at a free concert to benefit Carlton Complex Fire survivors on May 1 at Pateros Memorial Park from 8 p.m. – midnight. A beer garden will be available. Donations will be accepted for fire survivors. For more information, call (509) 689-8045.